Over 200 times the Scriptures give reference to dreams and visions. Three hundred times the Scriptures refer to angels. 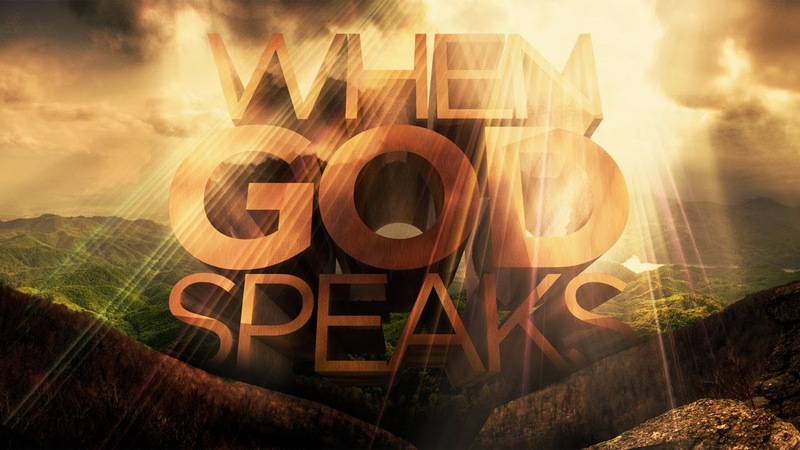 God is a supernatural God, and He communicates to His people through supernatural means. Through dreams God communicates directly with us concerning our destiny as well as the destinies of our families, our nation, and our world. Many people today, particularly in the Western culture, never recognize God speaking to them in this way because they have been conditioned by a sceptical and sophisticated society to discount the language of dreams. Within our own generation, God is reconnecting us to a vital part of our spiritual heritage. God is speaking though our dreams and many of us are missing what He's saying to us because we don’t realise that God uses dreams to communicate with us. During times of discouragement, if answers to prayer are long in coming or not what we had expected, we can begin to lose hope and even doubt that God will answer our prayers. To help us through, God sometimes encourages us by dreams or visions. Our minds are often so preoccupied that it is hard for us to hear God. If He cannot catch our attention during our waking hours, He will speak to us during our sleep through dreams. Our heavenly Father will use dreams and visions as an avenue of identifying the hindrances that are in our path to His purpose. 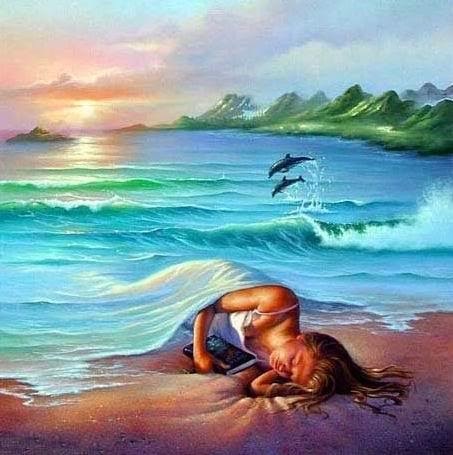 The Hebrew word “Chalam” means… “to cause to dream” or “to be a dreamer,” however it originated from a root word which meant “swirling, as in sand” (perhaps, a connection to the non-Biblical saying of the “sandman” bringing sleep). An example of where that original Hebrew word is used; “But God came to Abimelech in a dream [i.e. khawl-ome] by night, and said to him, Behold, thou art but a dead man, for the woman which thou hast taken; for she is a man's wife,” Genesis 20:3. The word “Chelem” means “to dream” but originated from a root word meaning “bind” or “unable to speak.” The word was very appropriately used (something that is missed entirely in translations from the Hebrew)… when King Nebuchadnezzar of Babylon required his “wise men” to not only tell him the meaning of the dream (Daniel 2:4-5), but to first prove their claimed power by telling the king what the dream itself was - according to the literal meaning of that word, the king did not speak it to them! The word “Chalom” and means “dreamer.” A good example is Joseph. At the beginning, the story of Joseph in Genesis 37 is one of favouritism, envy, betrayal and deceit. It's not until thirteen years later that it becomes a story of forgiveness, humility, love and restoration. Yet, the end of the story of Joseph is a mirror image of the dreams that he had as a youth… that one day his family would bow before him. With jealousy as a motive, Joseph’s eleven brothers tried to prevent those dreams from being fulfilled by selling him as a slave to a band of traders. In their minds, to send Joseph into the lowest social class possible guaranteed they would never have to subject themselves to the humiliation of bowing to the brother they envied. But God, the giver of dreams and visions, had already confirmed the outcome. The Holy Spirit shows us with Spiritual eyes what God is doing… God has a dream for your life, and He wants you to have the spirit of revelation upon your life. He has a great plan, and He wants to use these ways to speak to you. May God raise up such a people in the earth that the world will come and say, “Behold here comes the dreamer.” We live for Christ, but we also live to release the fragrance of His presence wherever we go. We don’t want to live an ordinary life; we want to live a supernatural life that would cause the people to say; “who is that strange man crying in the wilderness? Behold here is a dreamer!” And, the secret to becoming a good “dreamer” is to become a good receiver. God did not only send dreams to those who believed in Him, but also to unbelievers because He wants their hearts to turn to Him. Dream language is the language of the ages… It is this mysterious way that God comes into our lives, invades our uncomfortable zones, and simply comes to speak to us. A dream is a series of thoughts, images, or emotions that appear in our minds during sleep… Sometimes they are straightforward, but most of the time they are not. In the case of Holy Spirit-inspired dreams, often there is the need for careful interpretation, as these dreams tend to be like parables where the meaning of a dream is sometimes hidden. We can see an example in Mark 4:10-13 where Yeshua (Jesus) was speaking to His disciples about parables. Yeshua (Jesus)’ pattern of teaching was to speak in parables and mysteries… not to keep people in the dark… but to ‘wet the appetite’ of those who were truly hungry for the truth. He wanted to draw them in so they would press forward to know more. He loves this journey of hooking us with revelation with the purpose of actually reeling us into His very heart. Like parables, dreams are mysteries that need careful deciphering. Dream language is the mystical language of Heaven. Things are hidden for a divine purpose (Mark 4:22-23) the purpose of being revealed. God is going to speak secrets to all of us… things that in the beginning might not be quite comprehended or understood. But as we go on the journey and we receive the ‘spirit of wisdom and revelation and will learn how to understand mysteries and secrets but we need to be attentive. Listening is in many ways is a lost art, but it’s a vital skill we need to learn to become fluent in dream language. Vision and Prophecy go together. 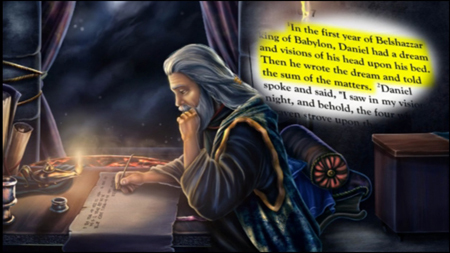 Without a vision, there cannot be prophecy…”The boy Samuel ministered before the Lord under Eli. In those days the word of the Lord was rare; there were not many visions,” 1 Samuel 3:1. There was no vision in Samuel’s time, neither was there prophecy… But, by the end of the chapter, Samuel is a man and there is both vision and prophecy. The city had been called “Luz,” an almond - tree, but after the dream he called it “Beth - el,” meaning “the house of God.” This gracious appearance of God to him made it more remarkable than all the almond trees that flourished there. 1. Moses, and Aaron, Nadab, and Abihu, and seventy of the elders of Israel...saw the God of Israel (Ex. 24:9, 10). 2. Moses saw the back of God (Exodus 33:23). 3. Micaiah “saw the Lord sitting upon his throne” (2 Chronicles 18:18). 4. Isaiah “saw also the Lord sitting upon a throne, high and lifted up, and his train filled the temple” (Isaiah 6:1). 5. Ezekiel saw “the likeness of a throne, as the appearance of a sapphire stone: and... the likeness as the appearance of a man above it” (Ezekiel 1:26). 6. Ezekiel again had a similar vision (Ezekiel 10:1). 7. Daniel “beheld till the thrones were cast down, and the Ancient of days did sit” (Daniel 7:9). 8. Stephen “looked up steadfastly into heaven, and saw the glory of God, and Jesus standing on the right hand of God” (Acts 7:55). 9. Paul wrote that he “knew a man” (likely himself), who was “caught up to the third heaven” (2 Corinthians 12:2). 10. John “was in the spirit; and behold, a throne was set in heaven, and one sat on the throne,” Revelation 4:2. Encoded within every one of us is the desire to know more…. about God, ourselves, others and the universe! The realization of dreams and mysteries begin with the understanding that God wants to speak to us. Within His hiding and our seeking, there are forms of relationship that we can develop between each other… creation and Creator. “It is the glory of God to conceal a matter, but the glory of kings is to search a matter out,” Proverbs 25:2. When God conceals a matter from us, it is not because He is trying to withhold something from us; it is an invitation to pursue Him and when we are asleep, it is an opportunity for God to communicate with us outside of a logical understanding of time and space. He has to bypass our lower logic and communicate His higher logic. We need to understand that the meanings of our dreams are a mystery and are much like a game of hide-and-seek. They are God’s night parables and won’t make any sense if taken seriously… that’s why they’re often ignored! Dreams are an open door to a relationship with God… and He’s knocking at that door in our dreams with a message from eternity. God is talking to us all the time… but we have to turn your volume up …or down! Dreams and visions are a major part of the prophetic outpouring of God’s great love in the Last Days! “And it shall come to pass in the last days, said God, I will pour out of my Spirit upon all flesh: and your sons and your daughters shall prophesy, and your young men shall see visions, and your old men shall dream dreams,” Acts 2:17. How important are dreams, visions and prophesy to God? God has chosen to communicate with mankind through dreams. He guides and counsels us through our dreams. He establishes covenants with us through our dreams. He grants us gifts in our dreams. 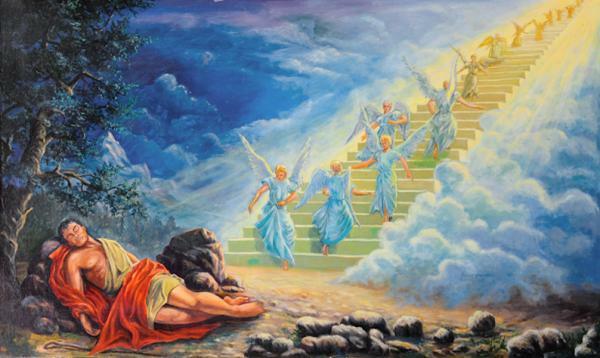 He utilized dreams from Genesis to Revelation, and declared that He would continue to use them in the last days. When you total up all dreams and visions in the Bible, and all the stories and actions which come out of these dreams and visions, you have about one-third of the Bible, which is equal to the size of the New Testament! Yes a third of the Bible is devoted to prophecy. We spend one third of our lives asleep and it is estimated that at the age of 60 would have slept 20 years! And, every night when we sleep… we dream. It’s possible to have a vision within a dream though we would not have a dream within a vision. Not all dreams are from God in the sense of them being supernatural communication but dreaming itself is from God and there is purpose to all of our dreams. Sometimes we process things in our dreams that we cannot seem to do in consciousness. Still, probably more dreams are from God than he is given credit for. A vision is basically a dream God gives someone when they are awake… (Numbers 24:3-4). “Visions” fall under the prophetic umbrella and need to be bathed in wisdom and discernment to stay on track. It should go without saying that visions need to be tested against Scripture. The gift of prophecy is much needed today in our End Times so we are told in Amos 3:7; “Surely the Lord God does nothing unless He reveals His secret counsel to His servants the prophets.” Since this is the case, we certainly need to understand ALL that God is saying, both in what he speaks and what he reveals in visions. There is going to be an event of such transcending importance that people will be talking about it for years and years to come. And what is Joel talking about? Well, he is talking about the great day of the Lord. Well, God has a day, what he calls the “day of the Lord,” and it was given to Joel to describe this great day. 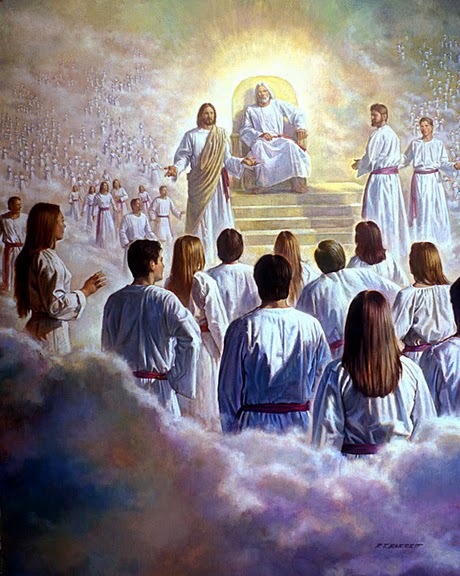 Now the day of the Lord is not just one event in human history. We will find in this prophecy that the day of the Lord is any event in which God moves in judgment, at any time. But judgment is also culminating and building up into cycles to the great and terrible day of the Lord of which Joel speaks in chapters 2 and 3. The great and terrible day of the Lord is that period described by the Yeshua (Jesus) as a time when there will be tribulation as has never been seen since the creation of the world, nor ever will be. And it was given to the prophet Joel to see across the intervening centuries of time, and to describe it, and to illustrate it by events taking place in his own day. Now the event that had occurred in Joel’s day was an invasion of locusts and Joel is calling their attention to this event. They hardly needed that under those conditions. Everyone certainly was aware of what was happening… but what they didn’t see was where it came from. Joel says to them; “God is behind this.” He describes how “the fields are laid waste, the ground mourns because the grain is destroyed” (Joel 1:10). God is behind this… this didn't just happen. This isn’t just one of those freaks of nature. This happened in obedience to the command of God, working through the natural laws that govern human life, and there is a lesson for us in this. “Don't fail to heed the lesson,” this prophet says, “for if you learn the lesson now… this minor-league example of the day of the Lord… you will save yourself the awful heartache that will come at last in the great and terrible day of the Lord.” Joel is simply pointing out that God’s hand is allowing catastrophes like this to occur to make people aware of the spiritual background to life. Life is not merely a cycle of eating and drinking and getting money to do so. For behind all the commonplace things of life there is the controlling Hand of the Spirit of God. We humans need to wake up to the fact that God is talking to us, that God has something to say to us. God wants to bless us, warn us of things to come but we will not listen. That is the problem. And God has to get our attention with something to make us listen. In chapter 2 the prophet Joel leaps over a great span of time to “the end days,” using this invasion of the locusts as a picture of the invasion by a great army into the land of Israel in the last days. Only by examining the whole stream of prophecy can we detect that Joel is speaking of the future. 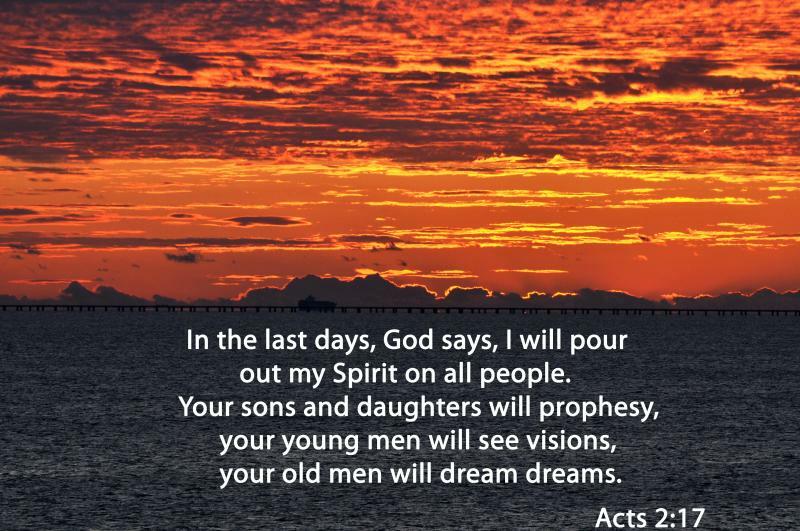 Joel quoted this passage… “And it shall be afterward, I will pour out My Spirit on all flesh. And your sons and your daughters shall prophesy; your old men shall dream dreams; your young men shall see visions. And also I will pour out My Spirit on the slaves and on the slave women in those days. And I will show wonders in the heavens, and in the earth, blood and fire and pillars of smoke. The sun shall be turned into darkness, and the moon into blood, before the coming of the great and awesome day of Jehovah,” Joel 2:28-31. The future is in God’s Hands. It isn't in men's hands. If it were, we would make a mess of it. It isn’t in the Devil’s hands. If it were, we would be on our way to destruction… everyone, without fail. The future is in the hands of the One who is preparing something that no eye has ever seen and no ear has ever heard. Neither has it ever entered into the heart of man, the wonderful things that God is preparing for those who love Him. We believe that! Lord, we ask for Your grace, and that the Spirit of wisdom and revelation would be released to us. Dream through us and weave an incredible tapestry for the world to see!